A lot of snoring fixes require perseverance before you start to see results. The SnoreLab-recommended “Four Hour Fast” is a free and easy life hack that can produce instant benefits for your snoring. Put simply, we strongly recommend not eating anything at least 4 hours before you go to bed. It’s working for lots of SnoreLab users and could very easily work for you too. Plenty of sources recommend not eating too late, but there is very little research into the effect of a large, late meal on snoring. However, anecdotally we have heard from our users and many other people that having a small evening meal with plenty of time to digest can drastically reduce their snoring. It is thought that having full belly can exert pressure on your chest and negatively affect your breathing. This is because your lungs and diaphragm share space with your stomach and small intestine. When your stomach is very full, your diaphragm has less room to expand and contract. This explains the shortness of breath people often feel after a particularly heavy meal. If this shortness of breath lingers until bedtime, the strained breathing can cause snoring. Reflux literally means “backflow” and this is when acid from the stomach spills back up into the oesophagus and even the airway. 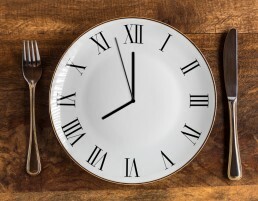 Reflux is a common symptom of eating late. The stomach takes several hours to empty properly. Lying down too soon after eating can allow the contents of the stomach to come back up with the help of gravity. As well as impacting the oesophagus, there is growing evidence to support the notion of reflux affecting the airway  which can exacerbate snoring. This “airway reflux”  can directly irritate and inflame the tissue responsible for snoring. Acid reflux can also contribute to postnasal drip. This is simply excess mucus buildup at the back of the nose and throat. Severe postnasal drip can result in a sore throat and coughing which in turn contribute to worsened snoring . Coughing is strongly linked to snoring as both are a result of airway irritation and inflammation . Reflux is implicated in many people who experience chronic coughing and snoring as a result . Reflux has also been associated with other upper airway issues such as hoarseness, difficulty swallowing and chronic throat clearing . Another thing to consider is the foods you eat and if they can impact upon your snoring. Whilst the research into specific foods and their impact on snoring is sparse at best, there’s plenty of evidence regarding reflux and the foods to avoid. High-fat foods slow digestion and relax the valve that separates the stomach and oesophagus. Acidic foods like including certain fruits and spicy ingredients are known to irritate the throat lining which can worsen snoring directly and indirectly through acid reflux . Remember to use SnoreLab’s notes tool to keep track of certain foods if you suspect they play a role in your snoring. 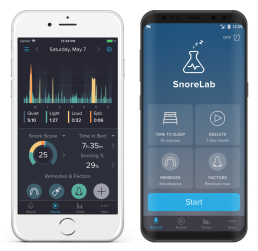 Whilst we are confident that many SnoreLab users will see instant results through eating an earlier evening meal, there is also plenty of long-term benefit to this eating pattern. Most people agree that breakfast is the most important meal of the day, but many of those people continue to skip it. Eating less in the evening can be a great way to encourage eating more in the morning. This so-called “front-loading” of your diet can be an effective weight loss technique too. Some sources speculate that this is due to enhanced fat burning or shifting metabolisms, but it is more likely to simply be an effective way of regulating your appetite and staying within calorific limits. Lifestyle is known to influence snoring. Increasingly, we are seeing the evidence that small life hacks can make big and important changes to our nightly noises. The Four Hour Fast is free, simple and can produce instant results for your snoring. If you have a late evening meal, remember to select the “Ate late” factor in SnoreLab and see how it effects your score. Conversely, try the Four Hour Fast and you could very easily see your Snore Score cut drastically! Let us know how you get on via support@snorelab.com, Facebook or Twitter.